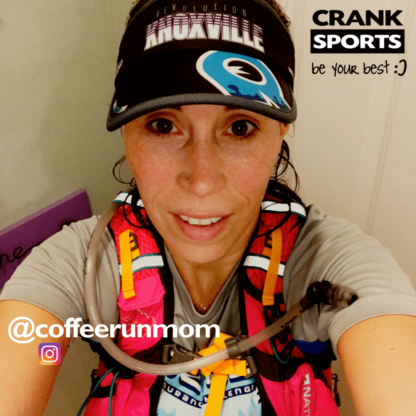 I'm a runner, triathlete, running coach, mom of two feisty, energetic little girls (very much my kiddos! ), and wife to a runner/triathlete. Virginia born and raised now living in North Carolina. I'm always looking to push myself harder, set big goals, and see what I can accomplish! I love trying to find new ways to become fitter and improve my performance - whether it's changing up my strength training, day to day nutrition, or ways to fuel myself during a race. I'm constantly working on not taking myself too seriously, finding balance in my life, remembering that I'm not getting paid and it's all for fun, and trying to share my passion to motivate and inspire others. That could be an athlete working towards a new distance or PR, or or setting an example for my girls about strong work ethic, that being a competitive athletic girl is awesome, and to dream big! Currently I'm training for a half ironman (Chattanooga 70.3) and a full Ironman (Louisville). I use both e-Gel and e-Fuel. First off, the people at Crank Sports are freaking genius with the 150 calorie gels. So much easier to manage! Also, as I ramp up training I've found it sits well in my stomach (yay for not gut bombs! ), and I can honestly feel the boost within a few seconds. I love the flavor variety. The single serve e-Fuel packs are amazing for travel though the canister of course is my go to at home.